“Death in the Gilded Cage” is now at your Favorite e-book retailer. One of the things I’m thankful for today is that my new book, the sixth in the best selling Jake Curtis / Vanessa Malone Mystery Series, “Death in the Gilded Cage” is now available on Barnes & Nobel for their Nook at http://www.barnesandnoble.com/w/death-in-the-gilded-cage-a-jake-curtis-vanessa-malone-mystery-tony-flye/1125190798?ean=2940153865973. And from Smashwords dot Com at https://www.smashwords.com/books/view/683465, for only $9.99. Kindle users may download “Death in the Gilded Cage” from Smashwords in the “mobi” format, the same format Amazon uses to download your purchases directly from them. Several of the beta readers who have read the manuscript of “Death in the Gilded Cage” has said they feel this is my best work yet. (For what’s it’s worth, I tend to agree with them.) The eta readers feel confident you will agree. Death in the Gilded Cage is the story of two women. One, a ruthless, greedy, determined woman known only through her anonymous diary entries. The other Marjorie Withers, the frustrated, middle aged hostess at The Gilded Cage nightclub with a hidden past. Both are willing to do anything, including murder, to achieve their prize so people have to die including an attempt to kill Jake Curtis and Vanessa Malone. 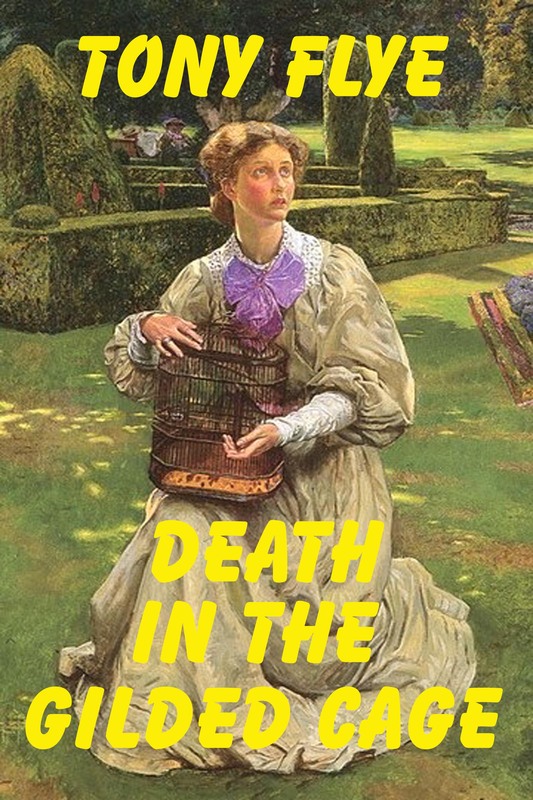 “Death in the Gilded Cage” is filled with more twists than a pretzel, more turns than a spiral stairway, more road blocks thrown in our sleuths’ way and a surprise ending you you will have to read twice to believe. Do the women capture their prize? You’ll have to read “Death in the Gilded Cage” to find out. “Death in the Gilded Cage” has been published by Smashwords.Com and soon will be available from your favorite e-book retailer for $9.99. Kindle owners can purchase “Death in the Gilded Cage” in the “mobi” format, from www.smashwords.com for $9.99. Mobi is the same format Kindle uses to down load your purchase from Amazon. Several of Tony’s beta Readers haves said “Death in the Gilded Cage” is his best work yet. They think you will agree. Death in the Gilded Cage is the story of two women. One, a ruthless, greedy, determined woman known only through her anonymous diary entries. The other Marjorie Withers, the frustrated, middle aged hostess at The Gilded Cage nightclub. Both are willing to do anything, including murder, to achieve their prize so people have to die including an attempt to kill Jake Curtis and Vanessa Malone. Do they capture their prize? You’ll have to read “Death in the Gilded Cage” to find out.